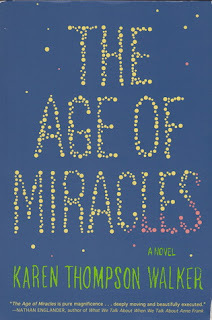 On a seemingly ordinary Saturday morning, 11-year-old Julia wakes up from a sleepover to the news that the Earth's rotation has begun to slow. No one knows why, but in that moment, life on Earth changes forever. For a time, things are fairly normal. Families begin stocking up on foods, and (although the sunrise and sunset fall at odd times) people still follow the sun in their waking and sleeping schedules. Clocks are ignored. But as "the Slowing" increases, more change is necessary. People react to the news in very different ways. Some follow the government's recommendation to follow "clock time" (ignoring the sunrise and sunset), for the sake of order and timeliness. Others refuse and will only wake with the sunrise and sleep with the sunset (though this grows difficult when the length of a day surpasses 40 hours). Other changes happen as well. Birds begin falling from the sky. Whales beach themselves on the coast near Julia's Californian suburban home. Some people develop an unexplained sickness due to the Slowing's effect on gravity. Others experience mysterious emotional changes, becoming more impulsive and hasty. And we read it all through the eyes of quiet, sweet Julia. She's very concerned and curious about the Slowing, but like all children, she's still busy with passing the 6th grade. Her observations about the sun, the birds, the grass, etc., are mixed in with everyday adolescent troubles: shaky friendships, bullying, crushes, loneliness, parents fighting. This was a beautiful, haunting, moving read. I truly loved it from start to finish. Everything about it just felt right. I loved Walker's simple but rhythmic writing style. 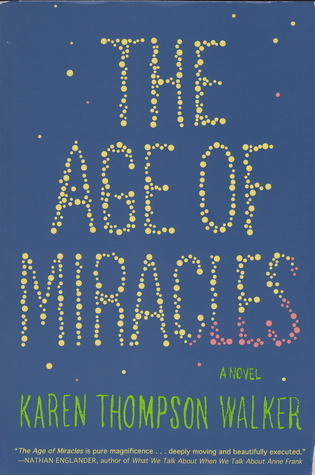 I loved the combination of science and adolescence, both uncertain and mystifying. I loved Julia, who reminded me very much of myself as a preteen. I loved the length, and how I never felt bored even once. I loved the beginning, and I loved the ending too. VERDICT: 5/5 stars. Just beautiful. Very highly recommended. Glad to hear you liked it! This has been on my list for a bit!